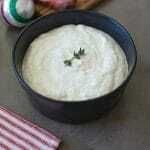 After trying this Homemade Creamy Horseradish Sauce, you will never buy store bought again. This is a light, tangy, yet cooling sauce that is the perfect accompaniment to any roast beef dish and is really quick and easy to make. A roast beef dinner is the one of the best parts of the holiday season. 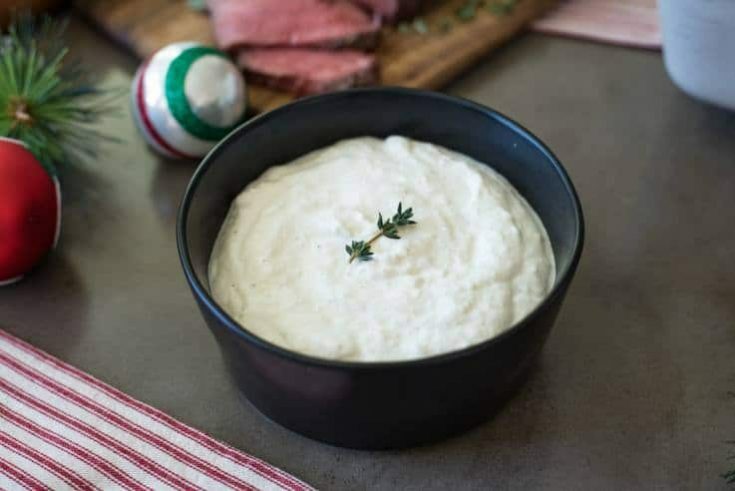 This homemade creamy horseradish sauce is #4 and final recipe in this weeks complete holiday meal. 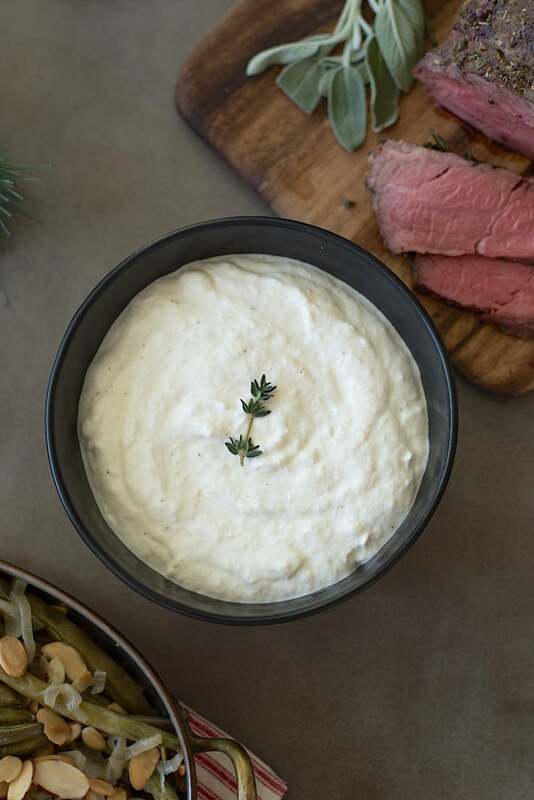 This sauce is the perfect adornment to the herb roasted beef tenderloin and don’t forget to check out the fabulous side dishes, cheesy rosemary mashed potato and slow cooker green beans with shallots and almonds. Is that a complete and perfect holiday dinner, or what? I have never been a fan of any horseradish sauce. Growing up in England, roast beef dinners are usually served every Sunday and think I remember trying the sauce once and never went back. Now I realize, it’s all about making your own and it really is so easy (check out the video above). This would make the perfect horseradish sauce for steak too. You’ve all seen fresh horseradish in the produce department. It’s the ugly white and brownish looking root that no one seems to buy. All you have to do is peel it, grate it and mix it with vinegar, heavy cream, a little sugar, some mustard powder and you’ve got the most delicious sauce. Where it is OK to indulge during the holidays, a healthier, lower fat alternative to the heavy cream is low fat sour cream that you can use on a more regular basis. This recipe is for a fairly thick sauce, but if you like it a little thinner, just add more vinegar and cream. You can really make it how you like it. If you like it a little more spicy, add more horseradish. Once you make your own and make it how you like it, you’ll never buy the bottled sauce again. This is a light, tangy, yet cooling sauce that is the perfect accompaniment to any roast beef dish and is really quick and easy to make. Whip the cream using a hand or stand mixer until it has soft peaks. Stir in the horseradish, vinegar, mustard powder, sugar, salt and pepper and mix well. If it is too thick, add more vinegar and cream to make it the consistency you like. I love the creaminess with the beef too. I made this last weekend with roast beef and it’s one of the best I’ve had. I don’t like too much horseradish spice and this is just right. I agree with you on the spice level. So glad you liked it. 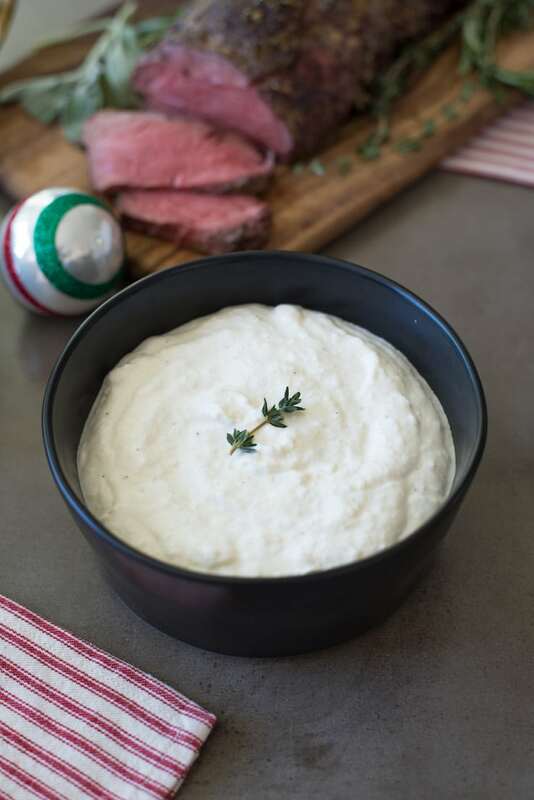 I came across your recipe when I was searching for horseradish sauce recipe for my beef roast tomorrow. I’m so excited by all the other recipes that now have for my holiday menu. 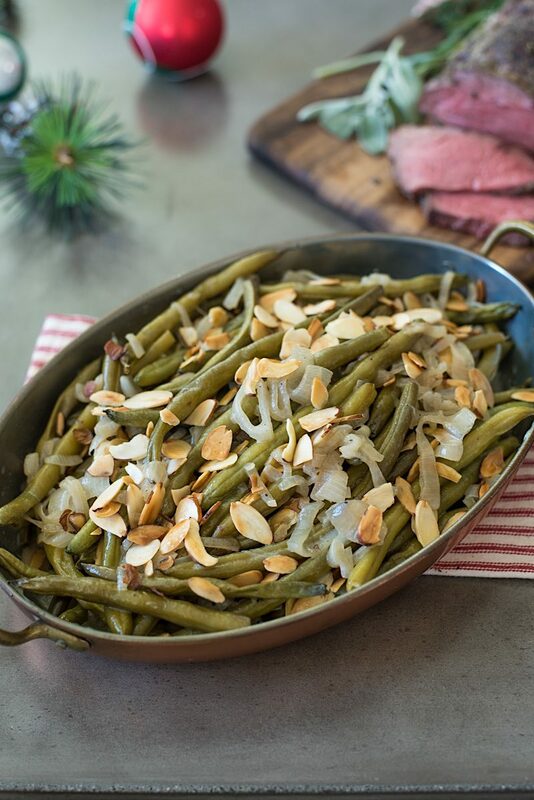 I’m so happy you found this recipe, it is so good and your family will love the holiday menu. I’m excited to try this! How long does the sauce keep in the refrigerator? Hi Debra, I would say no more than 5 days.